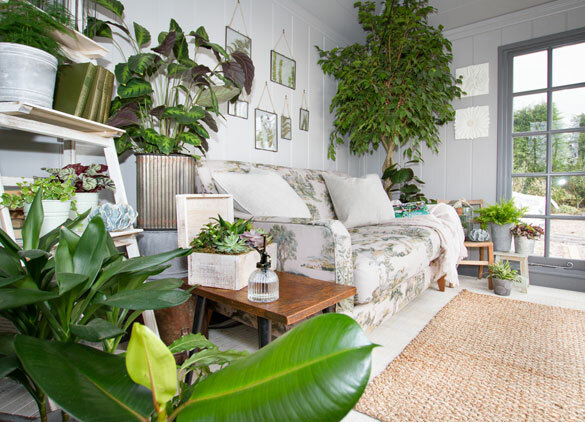 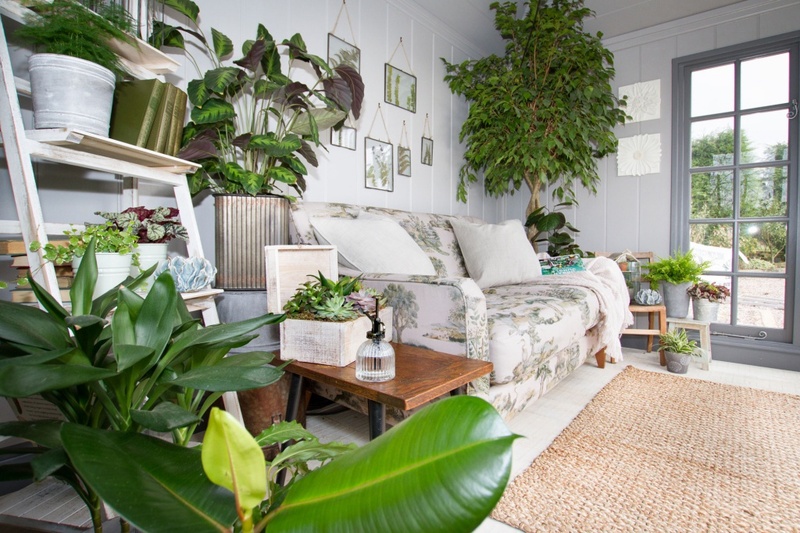 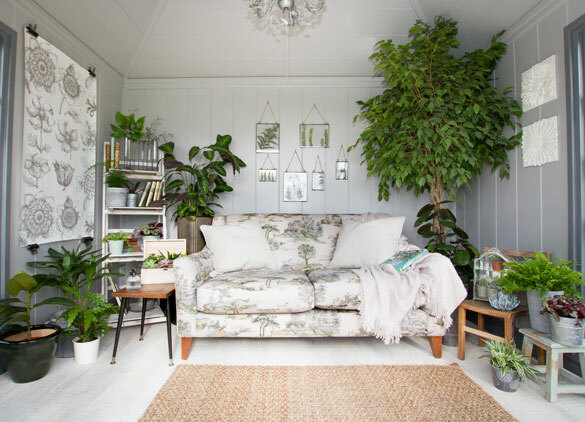 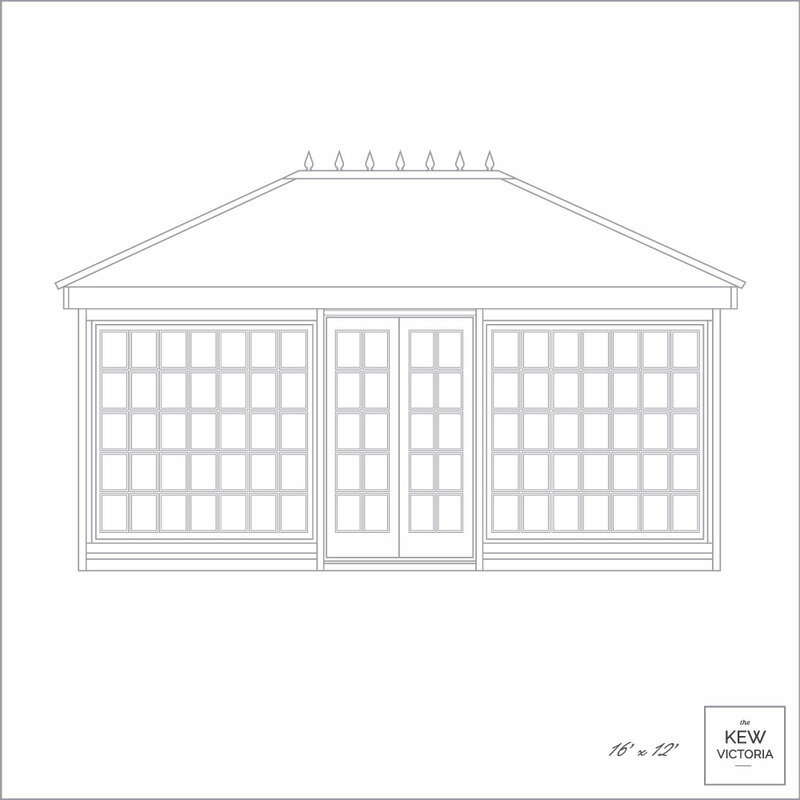 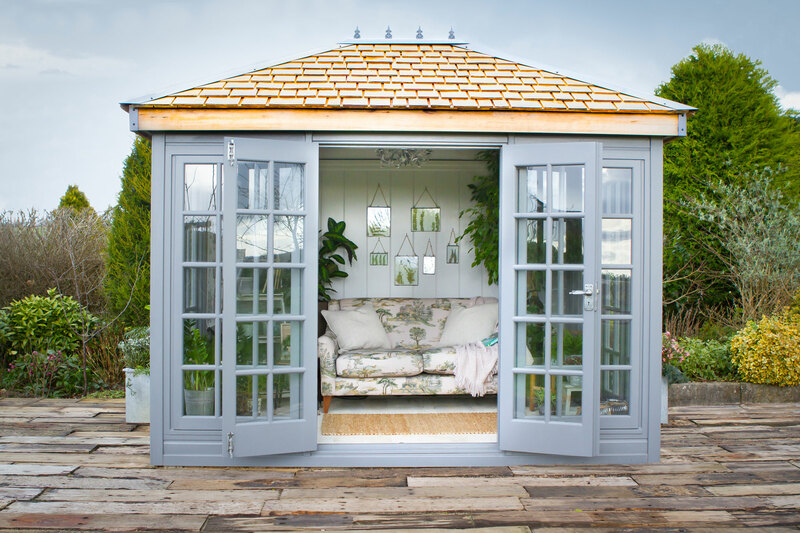 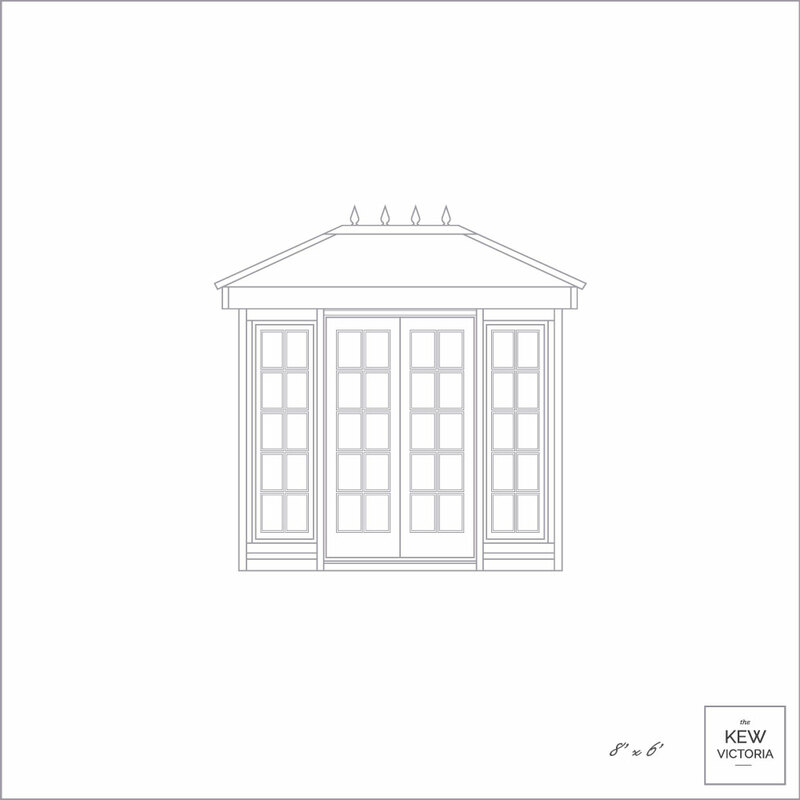 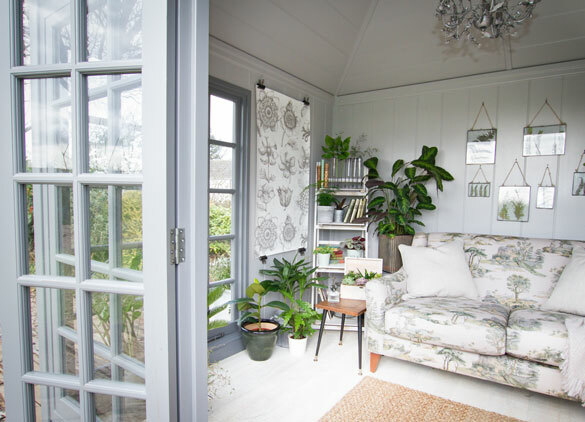 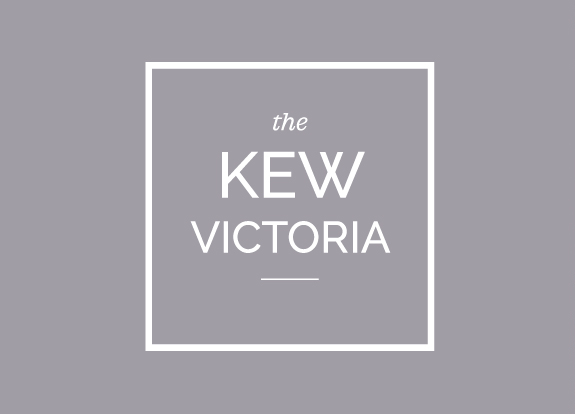 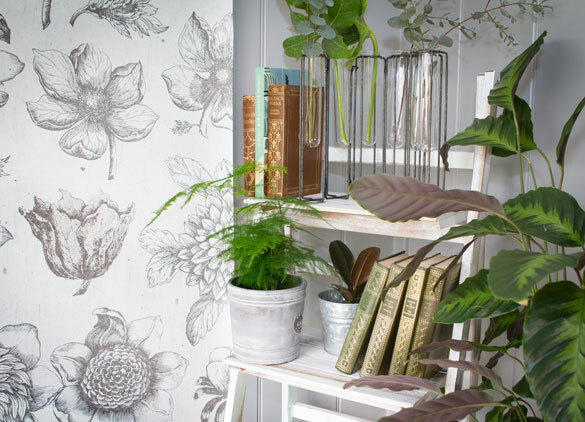 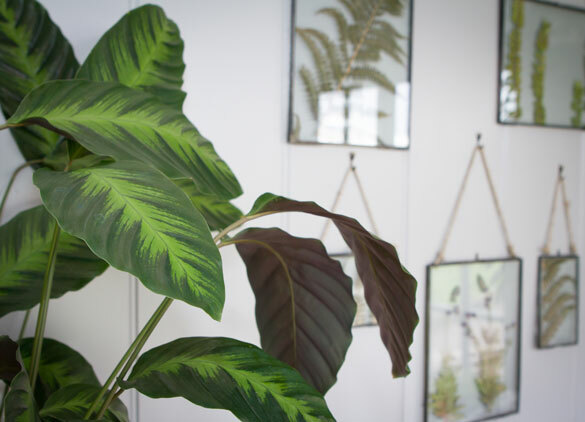 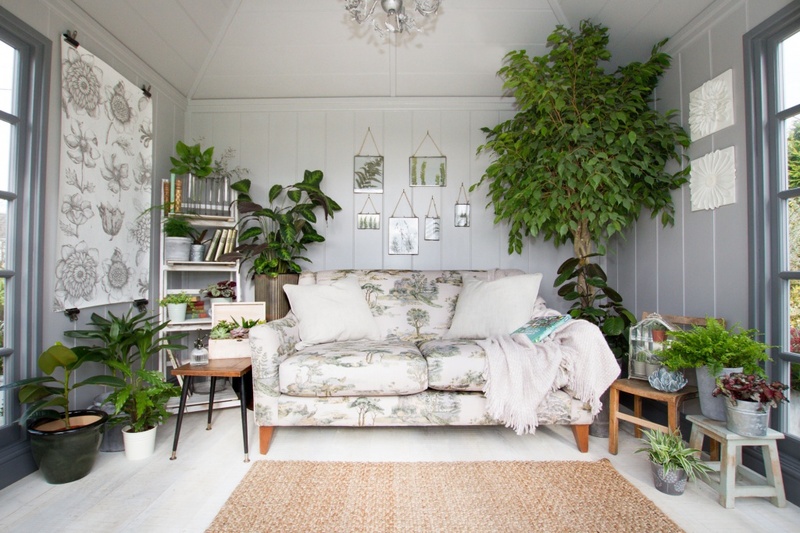 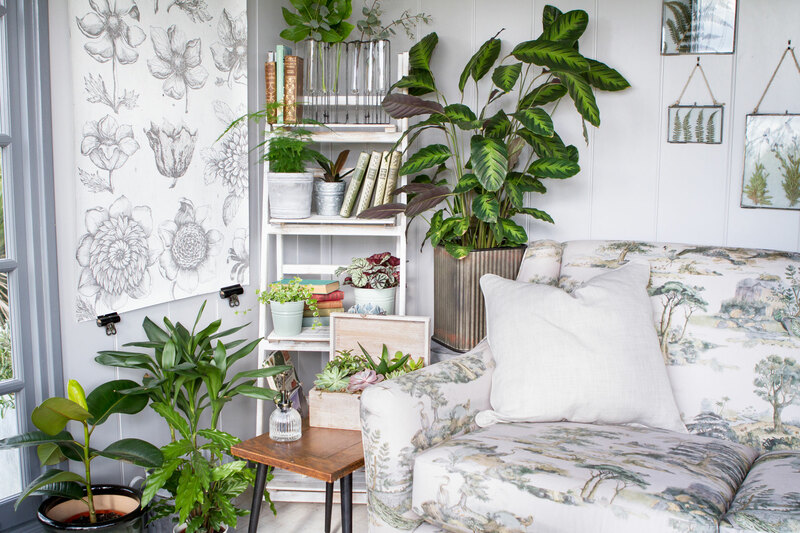 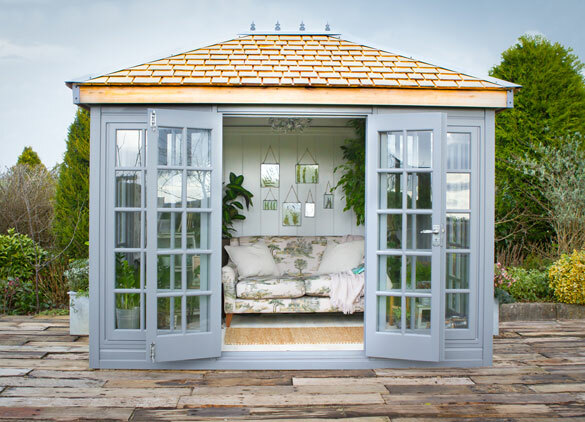 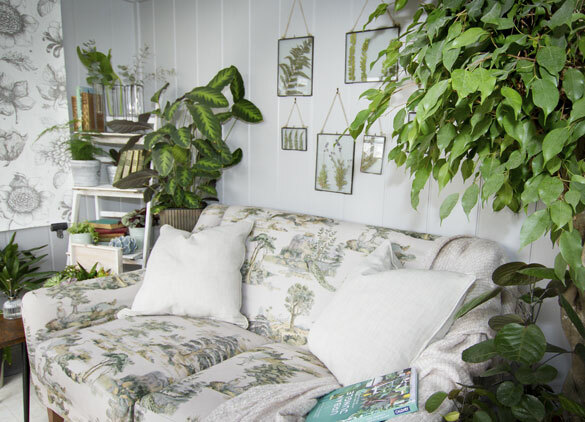 The first building in the Kew Collection, the Kew Victoria, is a grand summerhouse, designed to evoke a feeling of nostalgia – of a well-loved, much-used garden retreat. 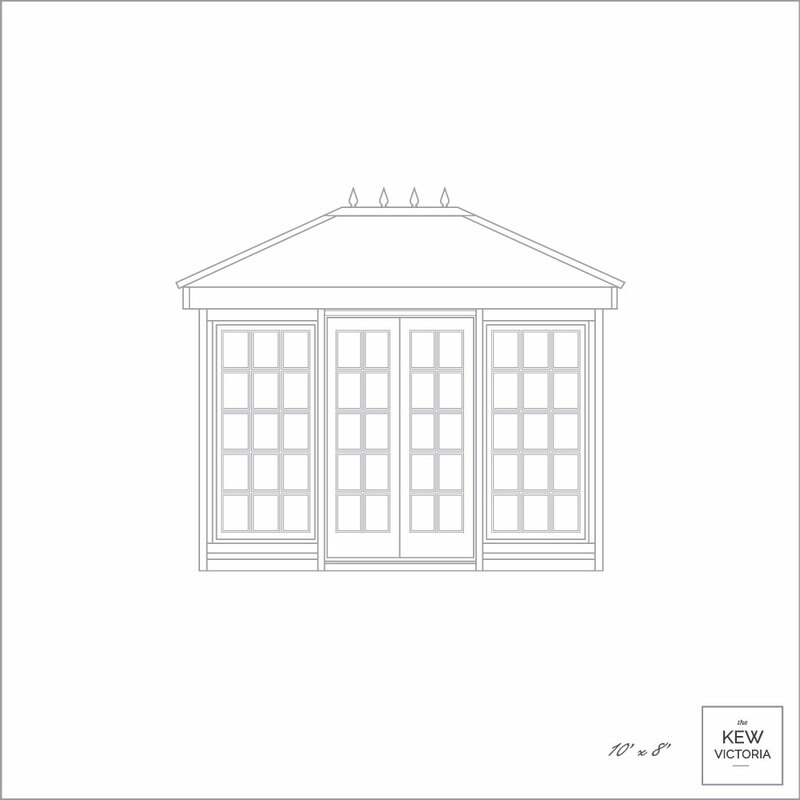 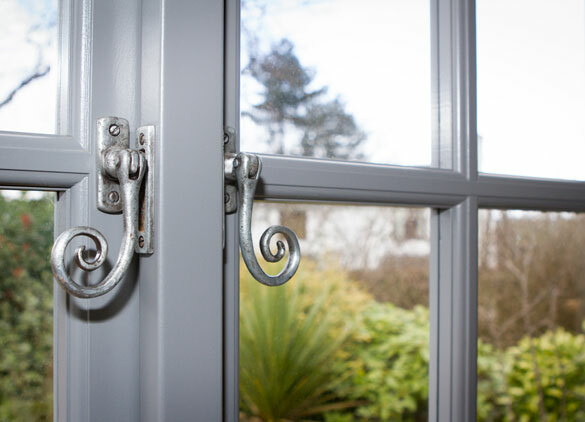 From more obvious references like the glass-to-ground glazing – reminiscent of Kew’s magnificent glass houses: the Palm House; the Temperate House – to more subtle details like the pewter-style ironmongery and roof finials, the Kew Victoria offers a number of carefully chosen design features – exclusive to the Kew Collection – which set it apart from other garden buildings. 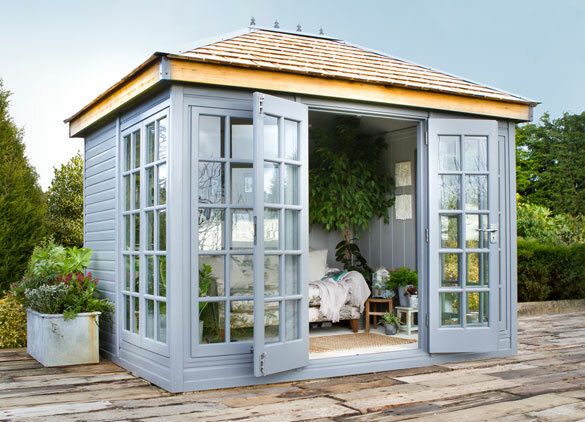 This stunning garden building will prove timeless in style and enduring in quality. 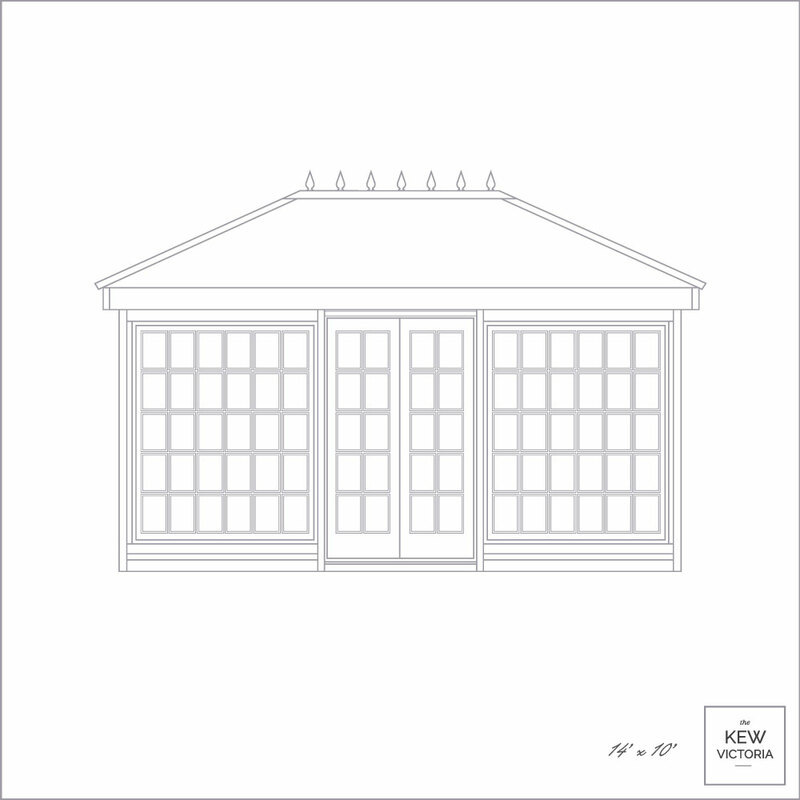 Insulated walls, floor and roof. 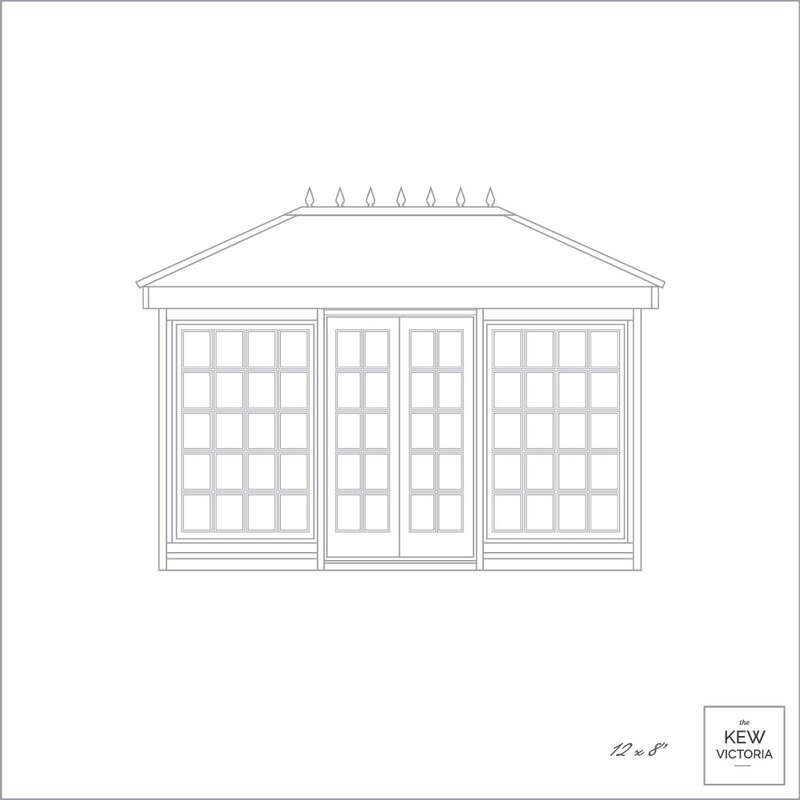 Mild steel powder-coated decorative top plate, roof hip covers and fascia corner trims. 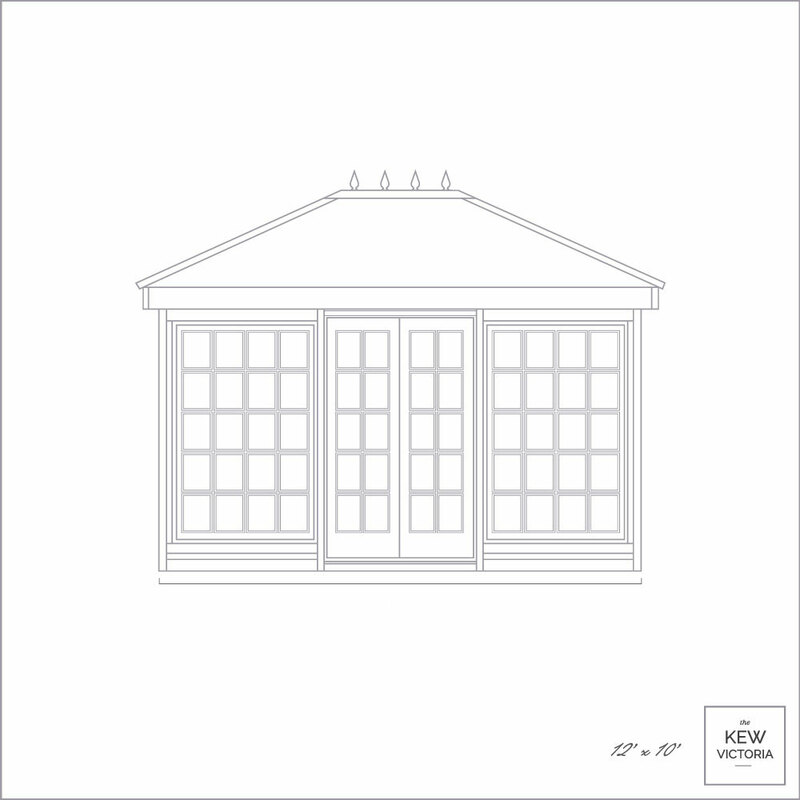 Tongue and groove floorboards fixed to pressure treated deal joists.